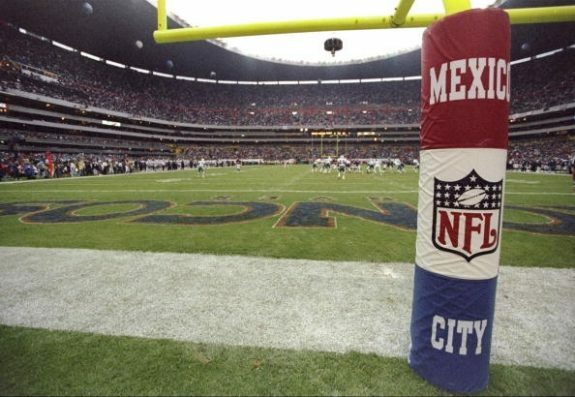 Steelers president Art Rooney II said he is interested in having the Steelers play a regular-season game in Mexico or Germany in the near future, Mark Kaboly of the Pittsburgh Tribune-Review reports. The Steelers would welcome an opportunity to play outside the United States again, Rooney told the team’s website Friday. The Steelers played the Indianapolis Colts in a preseason game in Mexico City in 2000 and have established a strong fan base there. Last week, the Steelers staged a camp in Mexico that Maurkice Pouncey, Kelvin Beachum and other current players attended. Rooney is a member of the NFL’s International Committee and recently spent time discussing possible international league expansion. NFL commissioner Roger Goodell said this week at the league’s spring meetings that countries like Germany and Mexico are interested in hosting regular-season games. If the Steelers do decide to play an international game, you can get great flight deals by visiting Hipmunk’s cheap flights page which offers tips and best-buying practices for flights all over the world. You can also review a guide to hotel deals on Hipmunk with options from major resorts and Airbnb.